There are some good coin shops in Phoenix but you will have to have a good dig around to find them. They are not well represented on the Internet so asking around is the best way to find them. In Arizona there is no sales tax for coins or precious metals. The fact that there is no silver sales tax in Arizona is a definite benefit of buying coins in Phoenix. Of course you will have to pay any capital gains tax on your profits and report to the IRS if you are buying large volumes. Arrowhead have a beautifully remodelled 2000 sq.ft. showroom situated in Glendale. They’re open Monday to Saturday 9:30AM to 5:30PM. They have an excellent website, which enables you to browse before you go in to buy. Their extensive inventory of predominantly US coins is impressive. They are able to source rare and special coins as well as bullion. You can find the store just off HWY 101 and North 67th Avenue. If you stop in and make a purchase, by mentioning that you found them on the Internet, they will take 10% off your purchased price. Glendale is located about nine miles northwest of Downtown, Phoenix. 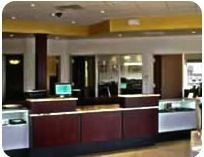 Coin Gallery has a showroom in Phoenix, two miles West of I-17 on the North side of Dunlap. It is situated about 100 yards east of 43rd Avenue. This shop is Arizona’s top destination for coins and bullion. It has been housed in the same building for 30 years and is a great place to visit, browse and buy. As well as selling silver coins, bars, and other precious metals, they also offer appraisal services for estates, family trusts, and collectors. They are experts at servicing both new investors and those with impressive collections looking to add prestigious coins to their numismatic collection. Republic Monetary Exchange are a specialist investment company helping investors achieve maximum gains by expanding their precious metal portfolio. They work with all types of clients looking to buy and sell precious metals and benefit from an impressive team of experts and advisers. They strive to understand individual client investment needs and tailor solutions to match those exact requirements. They do more than just sell, they consult, advise and provide added value. They are also experts at helping clients to fit precious metals into an IRA and can guide on the best solutions. It is fair to say that RM are more than a shop. They are a premium investment service offering first class products and first class services.